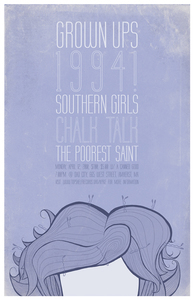 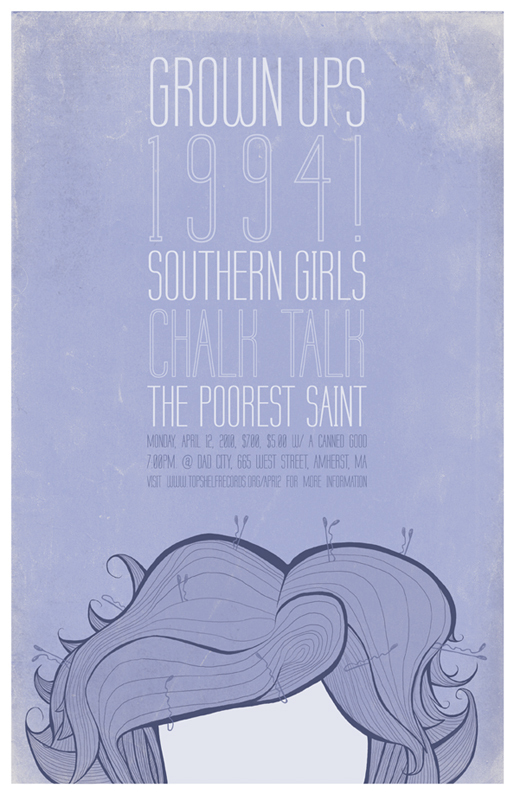 04.12.2010 (Grown Ups, 1994!, Southern Girls, Chalk Talk, The Poorest Saint) - 11x17", printed on 100lb stock, out of 50. 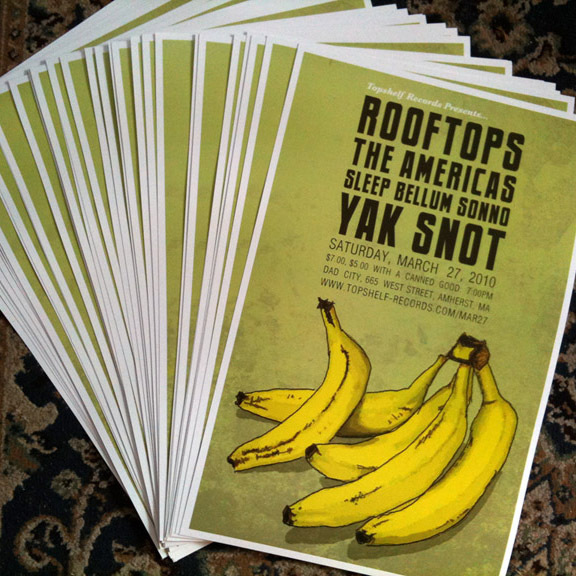 03.27.2010 (Rooftops, The Americas, Sleep Bellum Sonno, Yak Snot) - 11x17", printed on 100lb stock, out of 75. 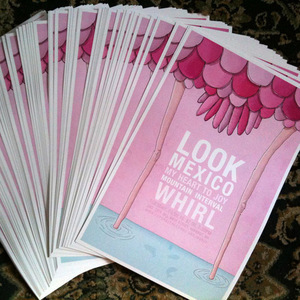 03.09.2010 (Look Mexico, My Heart To Joy, Mountain Interval, Whirl) - 11x17", printed on 100lb stock, out of 100. 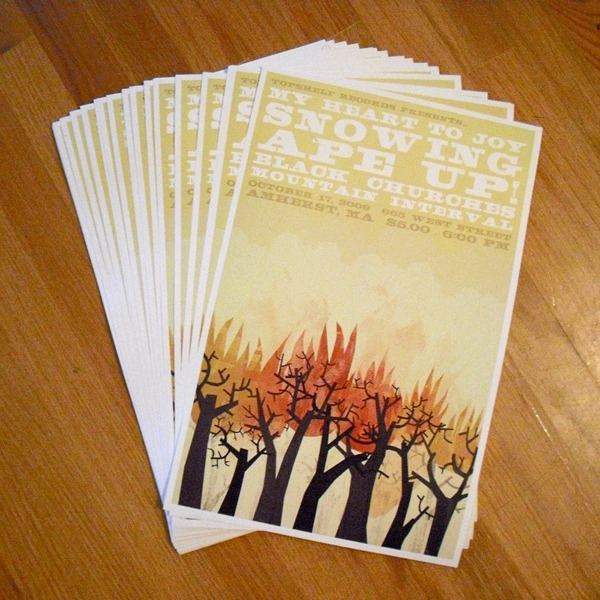 10.17.2010 (My Heart To Joy, Snowing, Ape Up!, Black Churches, Mountain Interval) - 11x17", printed on 60lb stock, out of 50. Every poster order ships in a poster tube.